To expunge a crime or your criminal case means to have the records removed, or destroyed. They will no longer be available for viewing, and would no longer be accessible by certain individuals. You can try to get the details in your case removed or deleted so that they are no longer available to the public. 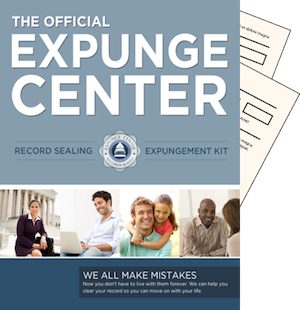 There are states that do allow for you to expunge records. You can expunge record in Minnesota, which is the removal of your case, but under specific circumstances. It is possible to have evidence of your case abolished in Minnesota; however, in order to remove all evidence in Minnesota; your case must fall into a specific category. One of the biggest reasons you could get your case expunged is, if you were a juvenile at the time of your arrest. If your case didn’t move forward, or if you were transferred to an adult correctional facility, you may be granted this process. Another reason would be that as a juvenile, you were found to be a petty offender. As an adult things are a bit different. If you were tried as an adult but your charges were dismissed or you were found not-guilty of the charges, then you may be able to quickly get your records removed. You may also apply to have your case expunged if you meet all your court restrictions, even if found guilty. One problem that could prevent having your case and evidence of it, removed, would be if you are a repeat offender. Another problem would be, if the crime you were involved with, was either a sexual offense or if you were convicted of murder. Another reason you wouldn’t be able to get your case removed from the system would be if you have a court order of protection against you. You will first need to fill out the correct paperwork, to get the process going. You will also need to study up on the process so that you are knowledgeable in the procedure. This is because, you will need to know the type of paperwork that is needed, as well as how to get hold of such paperwork. Something else you will need to know, is how to file the paperwork. Once you’ve thoroughly learned the process of having your recorded removed, you will be in a much better situation to handle your case. Some of what is included for you to do for a Minnesota expungement is: you will need to list any and all names you have used and currently use. You will need to put the details of the arrest in writing, as well as have all the correct documentation that shows the case was resolved. You will also need to show that you served out your sentence and/or complied with the courts. You will want and need to be as knowledgeable in the process of expungement as you can be. You can request and file for this process if you know ahead of time, what is expected of you, and the steps you need to take.